The Music Bed are one of my affiliates. I have been using them for about a year. Since discovering them I have found their site and content to be invaluable for my work. A place where I can find amazing music to license for my work. There are many sites on the internet for music that are great resources. The Music Bed being one of them and my favourite. I have asked them to write a guest blog about their service as I wanted to know how they came about and if they thought the democratization of our industry could be beneficial to the music industry…There is a great discount code at the bottom of the site. Make use of it! It only runs for a limited time. I have embedded a few of my films that I have used their music, to show how amazing the stuff on their site is. For more on my ethics statement please read this page. Below are some examples of some of my work featuring tracks from the music bed showcasing the various types of music I have found there. I truly love their site and am constantly finding amazing music there. It used to take me days to find the right music. It’s so much easier now! 576 Megapixels from Philip Bloom on Vimeo. Two Forty from Brighton: Sony FS700 from Philip Bloom on Vimeo. Every filmmaker knows what it’s like to create those “talking head pieces” they don’t really want to do but must. If nothing else, it’s a way to keep honing their craft as they wait for the opportunity to do what they love. Musicians are the same way. For many, it feels like there’s this impenetrable wall between their desire to be a full-time musician and their need to create a stable income and provide for their families. It’s a constant struggle between doing what they’re personally passionate about and doing what they have to do 9-to-5 to pay the bills. Here at The Music Bed, we create opportunities for bands, composers, singers, and songwriters to legitimately make it as full-time artists. By partnering with them, we enable these artists to further themselves as musicians without worrying about how they’re going to make ends meet. And, as we hope you’ve experienced, our partnership ultimately assists and inspires the filmmaker. As filmmakers ourselves, we were constantly searching for new music sources. We’d sit in creative meetings, dream up concepts for films, write scripts, cast talent, and then try to find the right music. But every time we placed a song, it seemed like we weren’t getting the feel we needed. It was as if the concept of the video was being held back by a music choice that we were forced to make from a limited pool. I (Daniel) remember walking into my business partner’s office one morning and saying, “We literally have friends in the music industry that would KILL for $500 right now . . . .” I remember thinking, Why isn’t there a place where we can license good music? Why isn’t this possible? That was the day the idea that filmmakers and musicians can coexist and actually help each other thrive was born. And two years later, we’re thrilled that it’s come this far. Most independent filmmakers wear multiple hats: director of photography, editor, colorist, lighting director, and when all is said and done—music supervisor. The importance of a fluid and timely pre- and post-production workflow is a big deal. No one has hours to waste trying to find the right music. While creating films through our own videography company, we’d spend hours upon hours hunting for just the right track. So our initial hope was that The Music Bed would help our fellow filmmakers save time and energy by assisting them in their search for good tracks. Our goal was to create a place where the best of the best could live—plenty of diverse options yet curated so a filmmaker can find the perfect track quickly, easily, and at a reasonable price. Music has a way of opening doors to emotions that would otherwise remain closed. These emotions create heart-ties with the sounds a person hears, the imagery he or she sees, and even the artists behind each piece. Over and over again, we hear from users who are reaching out to connect with an artist because that person’s musical creation made a genuine impact through the film that used it. We don’t take that kind of response lightly. 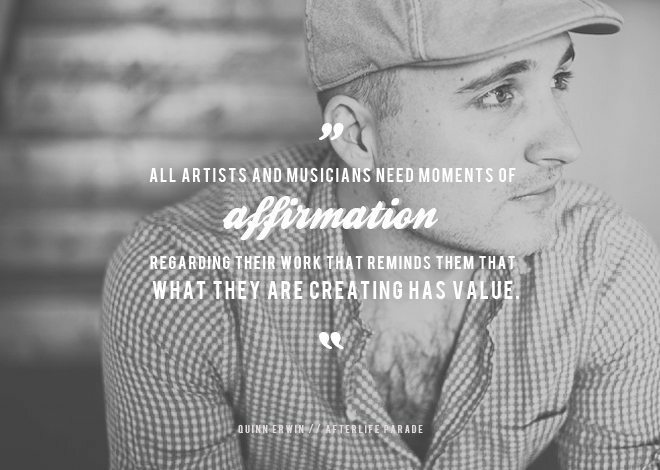 All artists and musicians need moments of affirmation regarding their work that reminds them that what they are creating has value. They need small or large reminders that their work is worth paying for and that it is possible to create a living by making something that others will enjoy for a long time to come. Doesn’t that notion apply to all of us? From one insecure creative to another, believing that other people also value our creations plays a HUGE role in whether or not we continue to create. Just knowing that what we’re doing impacts even one person is sometimes all the affirmation we need to move ahead to the next project. Meet The Music Bed from The Music Bed on Vimeo. During an impromptu cozy concert with Tim Halperin and Jordan Critz at the TMB offices, we all had a chance to sit down and talk about music, videos, what TMB believes in and what that means in the industry. Super fun afternoon with a lot of good folks. BIG thanks to Shade Tree Films for coming in to shoot and edit this awesome piece. It would not have happened without these guys. I have a deeper sense of commitment to continue writing and putting out music because you have made it clear that the songs we write impact you and that you feel these songs are going to impact others as well. We are deeply moved every time we have the opportunity to watch the way our music is used to tell stories and inspire change in others. Whether your dollars literally keep the artists’ lights turned on or simply fuel their hopes, they’re definitely going right where they belong—to the creatives. Here’s the deal . . . in just two years our company went from being a concept for a small business that we figured could provide some lunch money for a few starving artists, to where we are today—literally paying hundreds of artists’ mortgages each month. By pulling a legitimate amount of income from TMB, these musicians (many of whom used to work two to three jobs) are now released to focus on their craft. I’m deeply grateful to everyone who has purchased our tracks . . . Because some of you licensed our songs, you relieved a good portion of the burden of the three jobs I was working to make ends meet after my wife lost her job in December 2011. It is because of you that I had the money to pay my bills the past two or three months. To us, that outcome is priceless. And it was not because of TMB . . . it was because of you—the filmmakers. So from the bottom of our hearts, we thank you. Thanks for being so supportive of this idea and the artists on our site. We hope to provide you with killer music for years to come! As a tangible thank-you, we’d like to offer you a 20% discount** off your next purchase. Just click the banner above and sse coupon code “PBblog” at checkout . And just by commenting on this post and liking “The Music Bed on Facebook, you will be entered to win $100 in music licenses! We’re so grateful The Music Bed has had the opportunity to license songs for many different types of projects—from promotional videos to broadcast commercials to stunning wedding videos and much more. So we’d like to share with you just a few of our favorites from 2012! Lindsey & Andrew’s Wedding Highlights – Dallas, Texas from Joe Simon Films on Vimeo. Birchbox from Birchbox TV on Vimeo. Great post! Um, does this qualify as a worthwhile comment? I personally think that sound makes up around 60% percent of a film when compared to visuals and assuming that the acting and story is fantastic. Bad visuals can easily be forgiven when the mix is good but I don’t think it works the other way around as well. Good to know there are sites like this who support us filmmakers in terms of music. Been so hard looking for content as professional as what I am hearing so far on the site for the prices they are charging for licensing. Knowing a bunch of composers is not enough in my opinion. I look forward to buying some licenses when the time comes. There is such a need for this! Brilliantly executed too. I hope it spurs a whole new generation of music creators to bring their work into spotlight through film and video. It will mean more choice for me! The first time I browsed TMB I was instantly impressed with the quality and variety of music tracks available to choose from. I used to spend many hours trying to find the right track for any given project, and more often than not, I would end up choosing a track which I wasn’t 100% satisfied with. With TMB, I find suitable tracks within a few minutes. The artists’ works are not only suitable, they take my projects to a whole new level and they inspire and shape the final results as well, because I do music track research and selection at an early stage (usually during pre-production). I agree the music selection and representing the artist’s this way is great. However the licensing is aimed at web promos and non-commercial video clips such as trailers, non-profits etc. The prices do reflect this so I am not complaining. But these are endeavours that do not return any money to the filmmaker who has to recoup his enormous investment. So I inquired about licensing 3 ambient tracks from Music Bed. My project is not exactly commercial (a doc on Japanese archery) and will be available as a download from my own website – not Netflix or iTunes. The license fee for 10 minutes of music was in the 5-figures. I could actually hire a composer and a band and get a complete 80 minute score for that cost. I would like to use them but for a small independent the cost is prohibitive. Thank you SO much for the 20% off code! I have been searching different music licensing sites for some time now, and I always come back to The Music Bed! They have the BEST original and unique song selections. Great article. I love TMB! Haven’t found another site with better music content. The Music Bed changed my life. Seriously. I wouldn’t be in business creating films that I LOVE if it wasn’t for their selection/simplicity/pricing. Totally awesome. I love you Daniel. The Music Bed is by far the best licensing site out there right now. They provide a great variety of artists and instrumentals to select from! just checked out their site. Nice business model, I hope it takes off. The Music Bed provides such a needed resource! 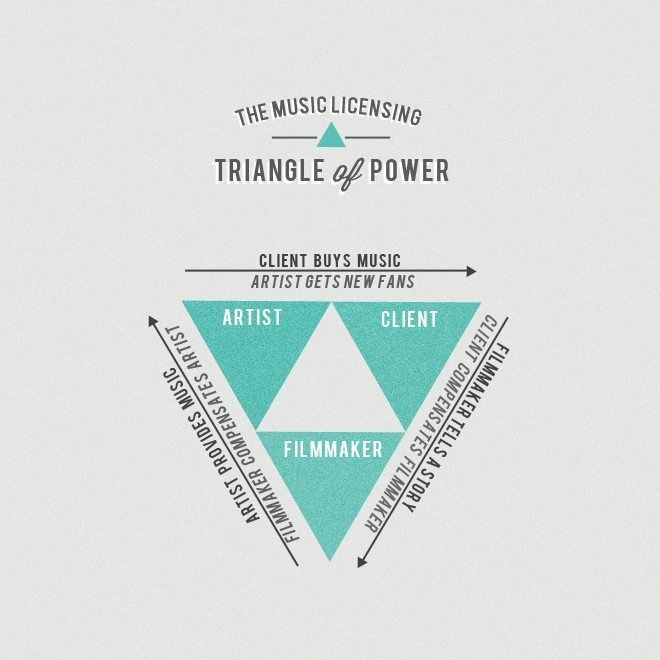 I love that they work with such talented musicians and give filmmakers a really affordable licensing option. For sometime like me who is just starting out with film, this could not be more needed! 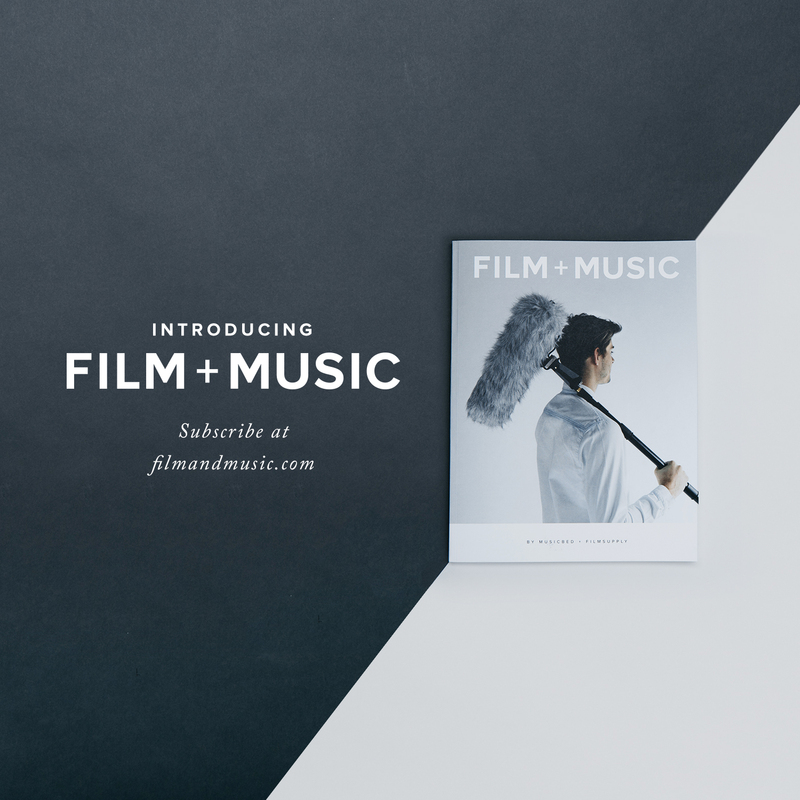 Love your post and thrilled to learn more about The Music Bed’s support of filmmakers! The Music Bed is a great thing. Beautiful post. Many thanks for this great post! TMB is one of the best sites I’ve come across which offers great music content for my Wedding Films and other Documentaries. Great post, will definitely use TMB in future projects! Indeed, an interesting article for filmmakers and music composers in a time of globalization and multicultural exchange. How a composer apply to TMB as a music bed provider? I haven’t found any information on this subject at the TMB’s website. AM I missing something? Thanks in advance!